This powerful cream provides a progressive lifting effect through increased collagen support. Contains Gingko Biloba to stimulate cells. Recommended for normal, dry and sensitive skin types. Visible results are seen within 15 days. Reduces the depth of wrinkles by 19%. Increases hydration and moisture levels by 10%. Apply in circular motions to cleansed skin daily. Water (Aqua), Glycerin, Glyceryl Stearate SE, Propylene Glycol, Dimethicone, Isononyl Isononanoate, Triticum Vulgare (Wheat) Germ Oil, Butyrospermum Parkii (Shea butter), Simmondsia Chinensis (Jojoba) Seed Oil, Chlorella Vulgaris Extract, Padina Pavonica Thallus Extract, Daucus Carota Sativa (Carrot) Seed Extract, Porphyridium Cruentum Extract, Acacia Decurrens Extract, Rosa Damascena Flower Extract , Lecithin, Ginkgo Biloba Extract, Phenoxyethanol, Cetyl Alcohol, Stearic Acid, Glyceryl Polyacrylate, Xanthan Gum, Chlorphenesin, Methylparaben, Fragrance (Parfum), Laureth-7, Glyceryl Acrylate/Acrylic Copolymer, Disodium EDTA, Butylparaben, Ethylparaben, Tocopheryl Acetate, Propylparaben, Isobutylparaben, Hydroxyisohexyl 3-Cyclohexene Carboxaldehyde, Butylphenyl Methylpropional, Linalool, Citronellol. I find this cream to be so average and overpriced that I want to kick myself every time I see the jar in my "I can always use it in a pinch" drawer. I will say that it has a lovely smell and is nice and light, but it didn't do anything for my skin, and I used it twice a day for about 6 weeks. There was a product that came on the market years ago with marine collagen in it, and after using the serum for about a week my skin began to radiate with a very healthy look... well, they first changed the serum then discontinued the product, so that benefit was short-lived (heaven only knows what was actually in it, but it did work!) I will admit that I was hoping that this cream would be the solution to my marine collagen search, but alas, I must keep looking. I discovered this cream when it was used during a facial on a recent vacation. I resisted the urge to buy it at the spa because I knew I would save 20% here! This cream is expensive but you need very little. Love this cream and the Elemis line. Really balances my skin. Thanks for other reviewers who had reviewed the product, I splurged on it and don't regret it at all. It's light but yet moisturizing enough for day and night. I replaced my numerous products with this one, and it's working great. My skin is not dry just for your reference. I can see it might not be enough for people who have dry skin. I first tried this product when I had a facial at Disney's Grand Californian ($180). I bought it at check out and used it until every bit was gone. I love the way it feels and smells on my skin.It seems that I never buy the same product twice, but I am loyal to this face creme- this is my 3rd jar. My favce is smooth, moist (not oliy or sticky) and just feels great. 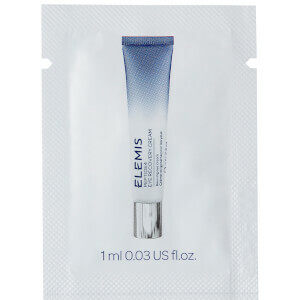 Elemis Pro-Collagen Marine Cream is now one of my staples. I use it at night under my moisturizer and the smell is delicious but not fruity. My skin has less fine lines and seems to be brighter and firmer. I think it took about 3 or 4 weeks for me to see big changes in the deeper lines around my mouth. Another plus is that it goes a long way. It fully absorbs, but seems to "fill" the skin quickly, so application is fast. My skin is not crepey and dry anymore.